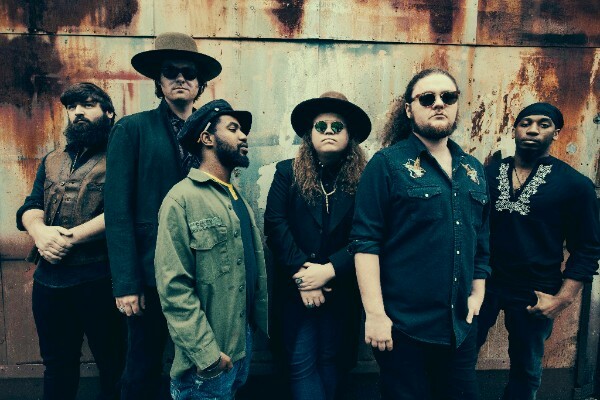 The fast-rising Marcus King Band are bringing their Carolina Confessions tour to the UK this October; four headline dates including a show at the Islington Assembly Hall in London on October 26th. The six-piece band are fronted by the multi-talented, 22-year-old Marcus King, whose expressive guitar playing, soulful singing and emotive song-writing make it clear that this gifted young musician is a true talent to be reckoned with; a genuine force of nature. A Blue Ridge Mountain boy, born and raised in Greenville, South Carolina, King has been writing songs and performing onstage for half his lifetime and fronting his own groups for nearly a decade. Since he was a teenager, he’s been trading licks with famous fans and mentors Warren Haynes and Derek Trucks whenever their paths have crossed. Indeed, Haynes was so blown away by the then-19-year-old’s artistic precocity that he signed King to his Evil Teen label, releasing the band’s debut album, Soul Insight, in 2015 and producing the self-titled follow-up a year later. The UK dates in October come in the wake of a huge US run, which includes a stint on theTedeschi Trucks Band's Wheels of Soul Tour, plus headline shows in New York, Boston, Nashville, San Francisco & Los Angeles, where the Troubadour is already sold out with a second night added. King also has his own music festival in North Carolina. The Marcus King Band’s third studio album is due for release via Snakefarm Records in the UK later this year.